Our owners, Kyle and Minone Morse (aka “Team Morse”), launched The Aloha Booth in May of 2018. They were inspired by their own wedding Photo Booth vendor, whose quality and customer experience remain unmatched on the islands. With those fond memories as a backdrop, The Aloha Booth took form under the leadership of Team Morse. Tattooed with the Islands, Minone Morse proudly embraces the land that raised her. With the Aloha Spirit at the forefront of every adventure, she decided to move to the mainland after graduating from the University of Hawaii in 2009. Minone chased her career up the East Coast, from Florida to South Carolina, and finally up to New England, where she now calls home. With the ocean nearby and the Islands forever in her heart, she has teamed up with her Ku`uipo (“Sweetheart”) to bring the Aloha Experience to the Photo Booth industry. With deep roots in New England, Kyle Morse grew up with all four seasons, golfing in the summer and skiing in the winter. 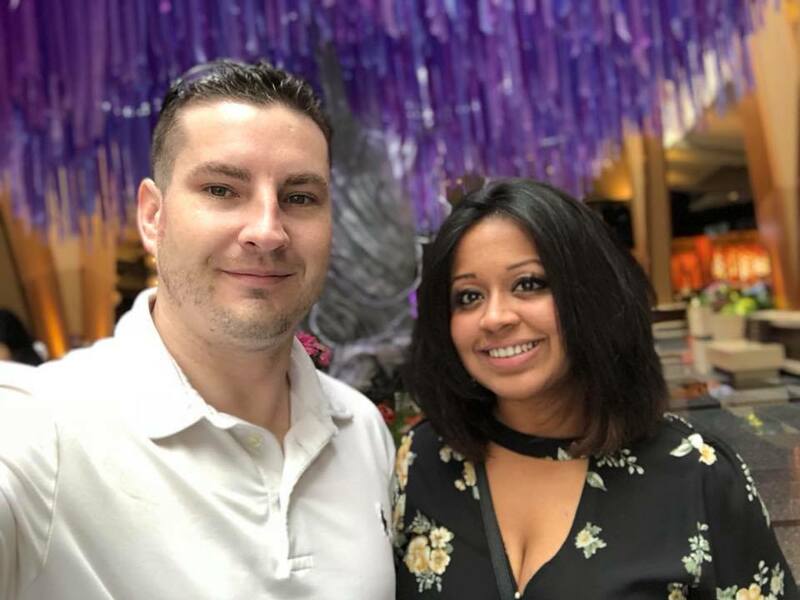 As a Network Engineer in the US Air Force Reserves with a natural flair for entrepreneurship, Kyle’s career led him to South Carolina, where he met Minone at the company they both worked for. It was an instant connection! In 2014, they took the plunge, and decided to move up to New England together to begin the rest of their lives as husband and wife, and also as business partners! Our Aloha Spirit is the driver in everything we do! We are here to bring the party to you and to provide you with an unforgettable photo booth experience with high definition photo printing, elegant/fun backdrops and templates, and quality, high-end props to steal the show. Specializing in slow-mo video, animated gifs, and green screen technology, we’ve engineered our photo booth with state-of-the-art software to make even your wildest dreams come true. To take it up another notch, your photo booth pictures and videos are also modernized with an instant social media uploading feature, allowing you to share your most epic moments in real-time. The possibilities are endless! Mahalo Nui Loa! We look forward to celebrating with you!